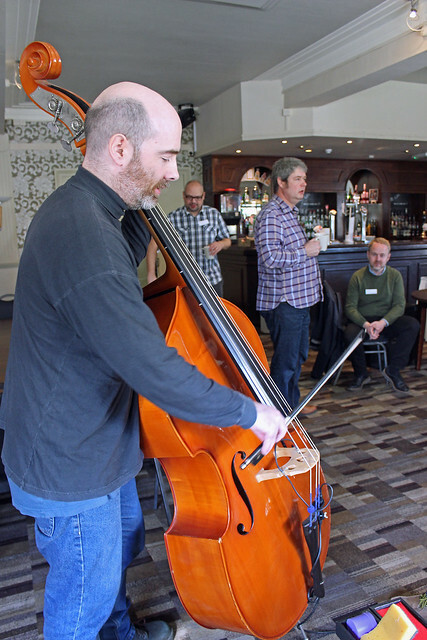 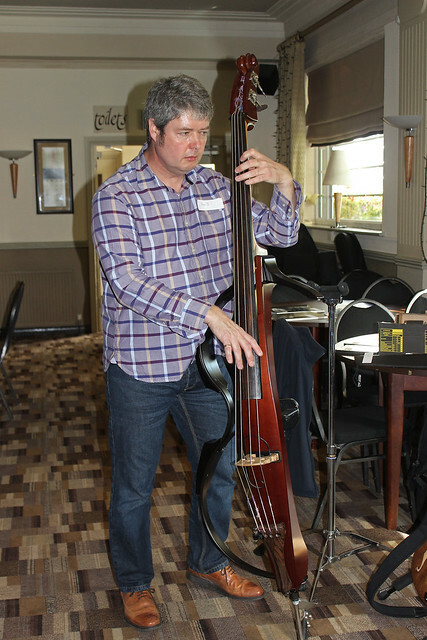 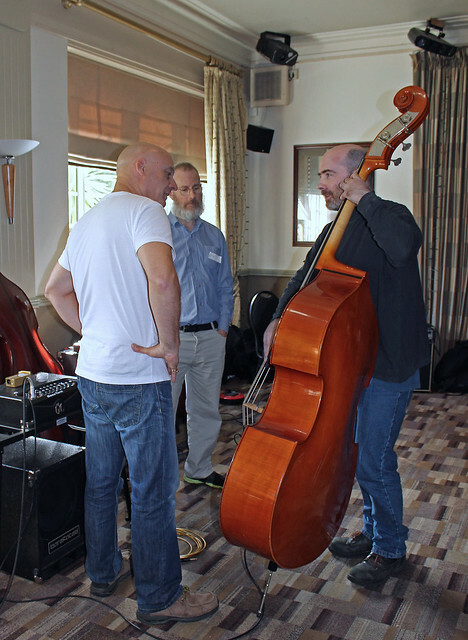 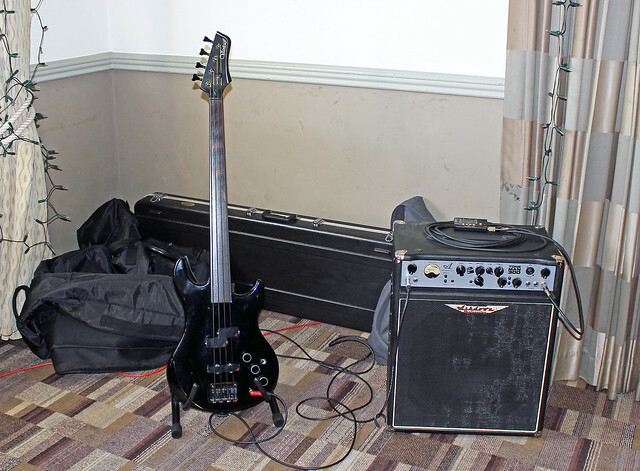 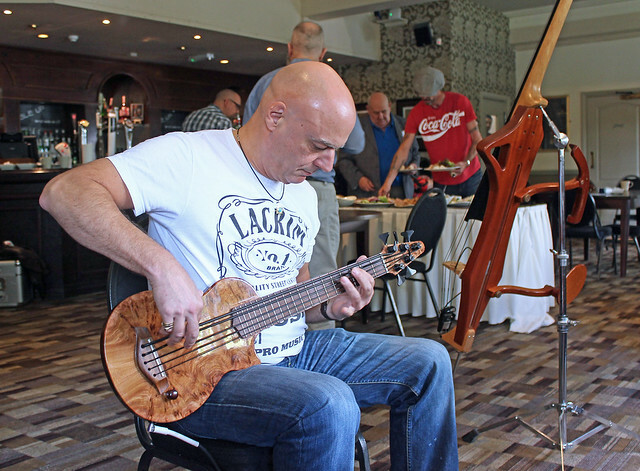 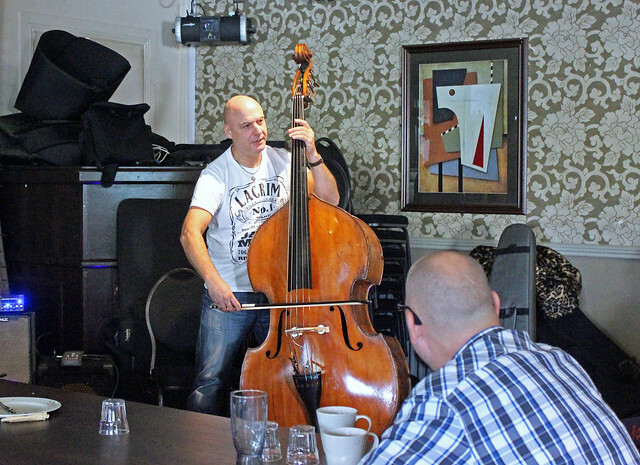 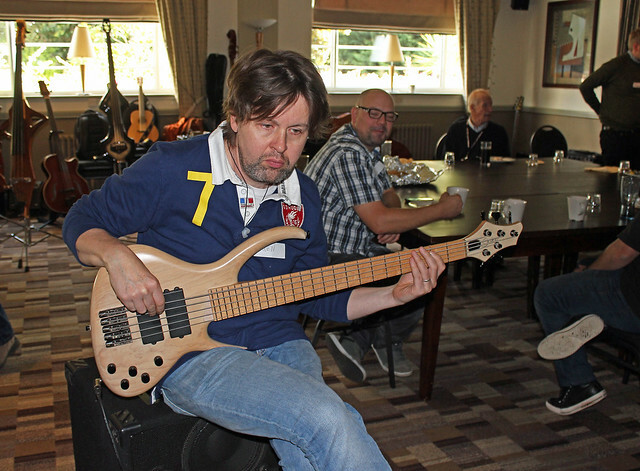 After a few failed attempts in previous years, this year, at the beginning of October, I was finally able to attend the annual Basschat upright bassists’ meetup, held in Risley near Derby, and what a fine day it was. 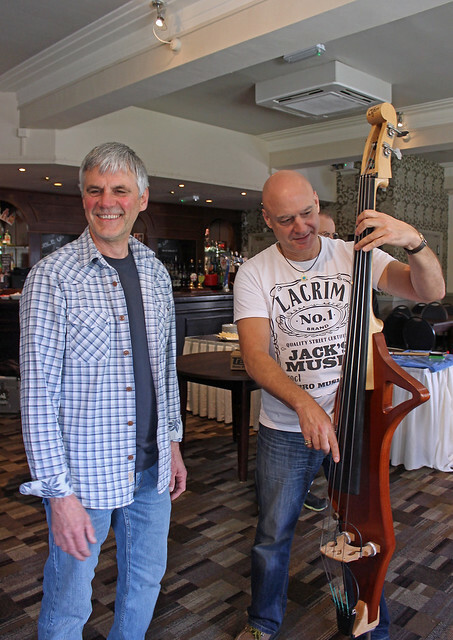 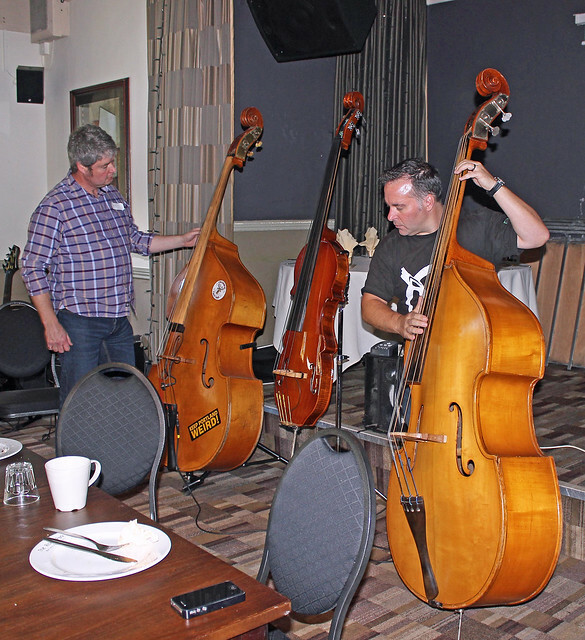 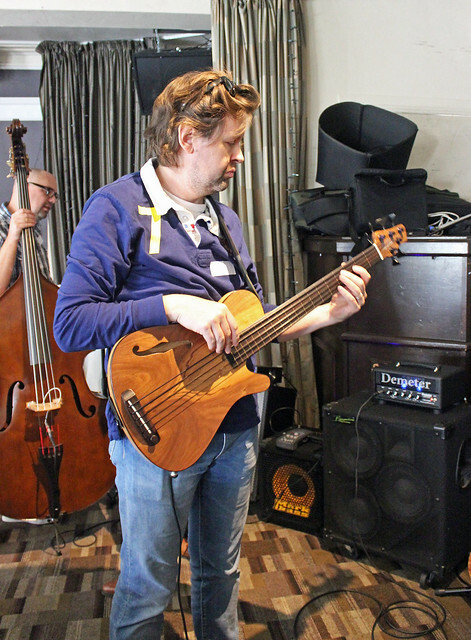 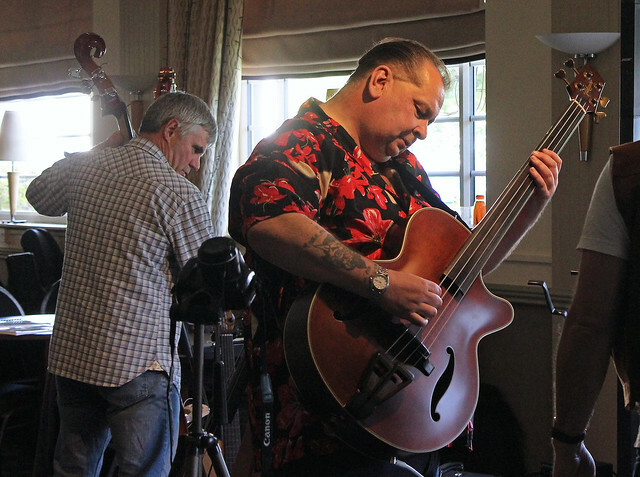 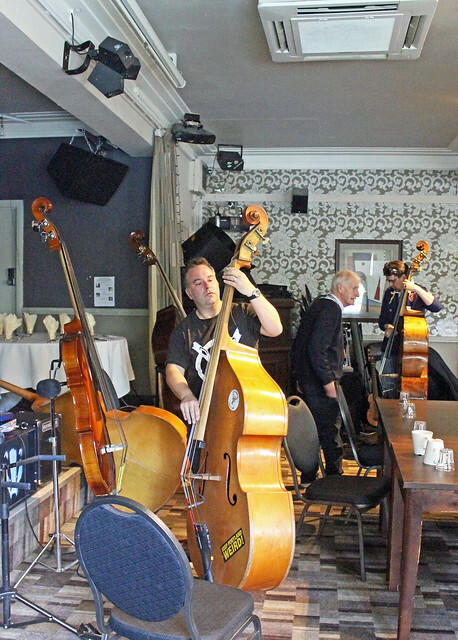 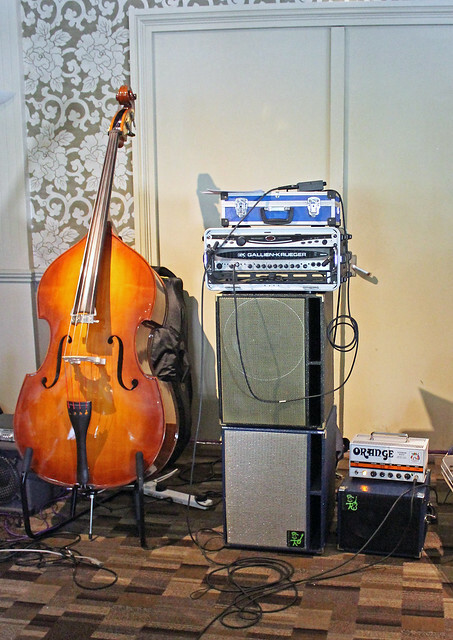 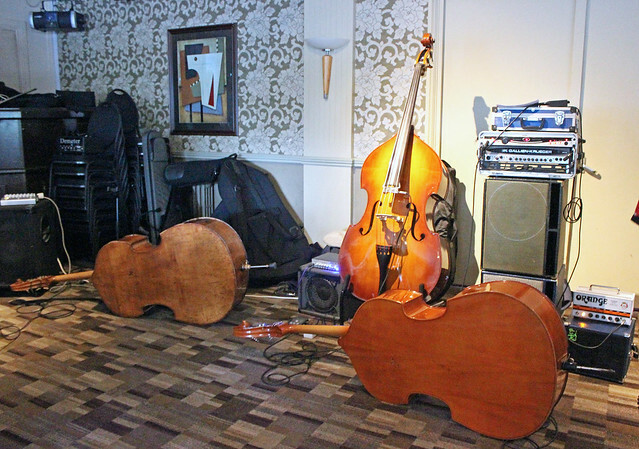 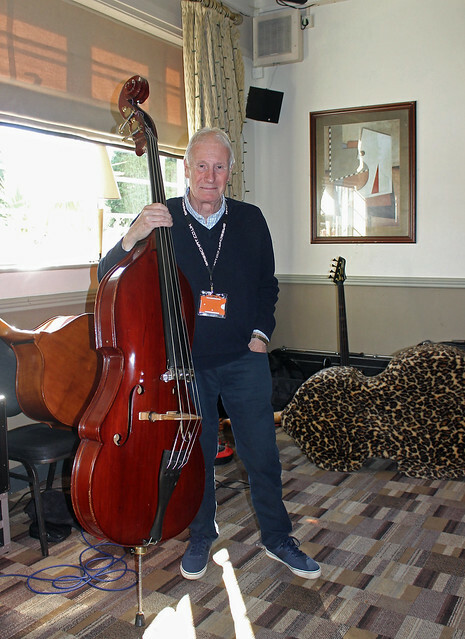 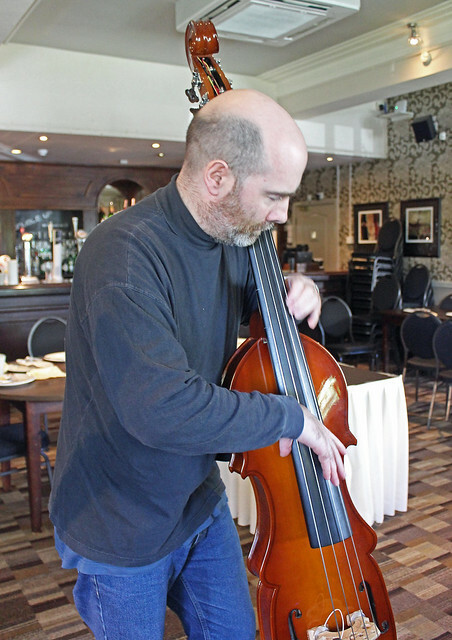 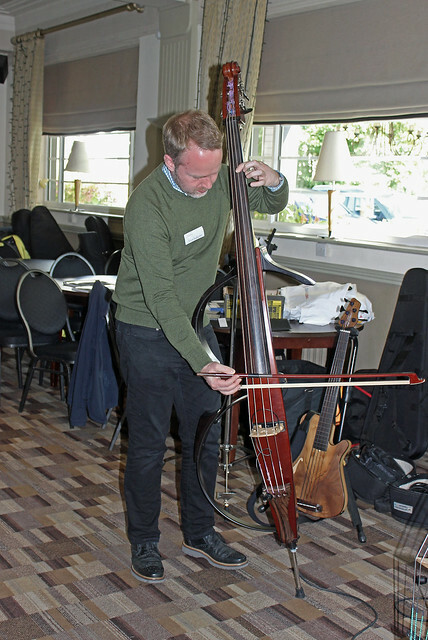 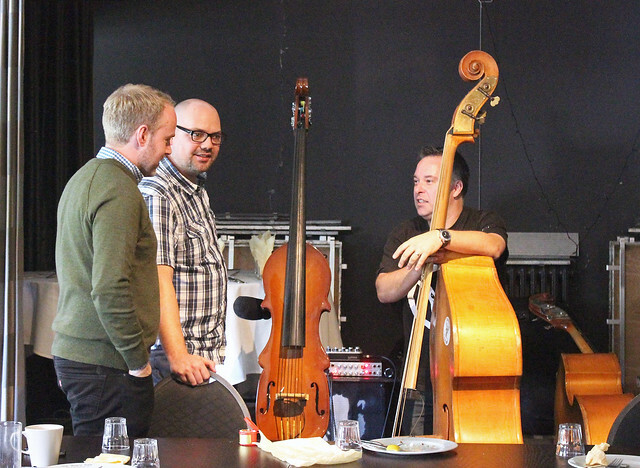 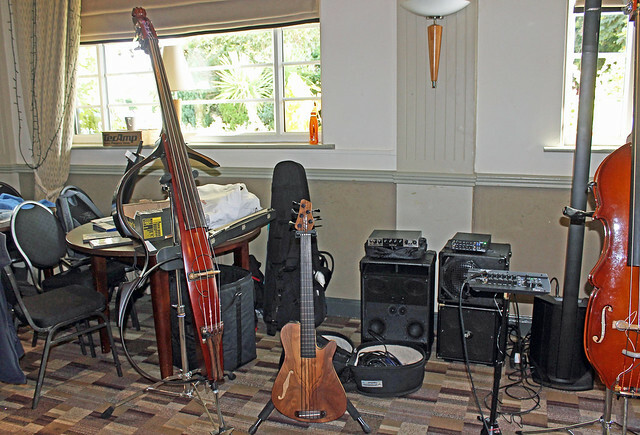 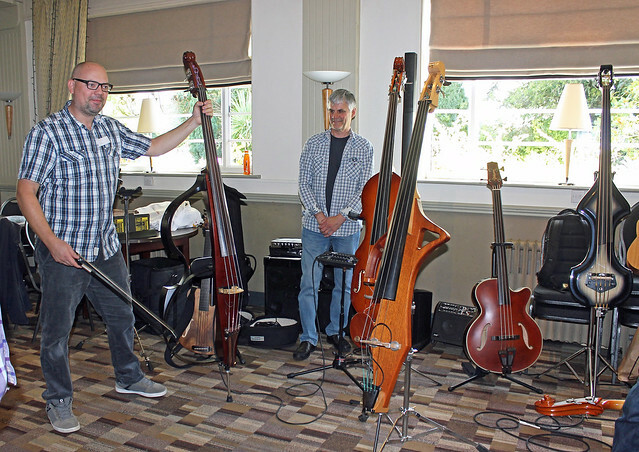 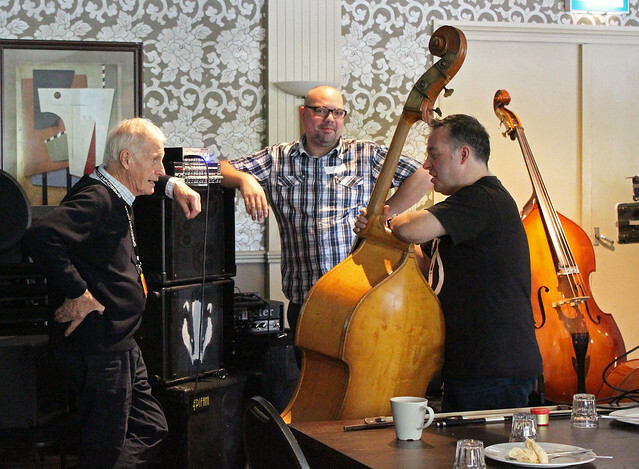 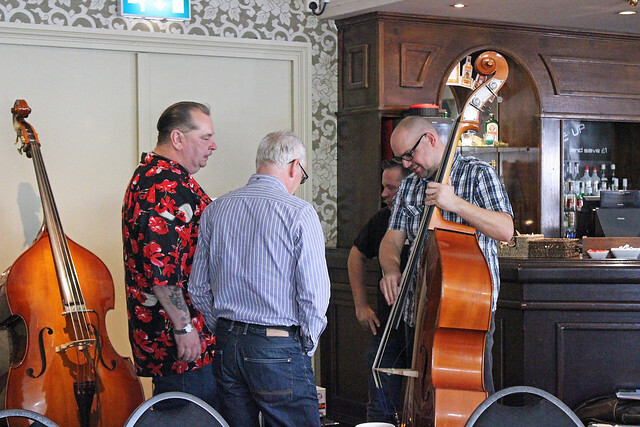 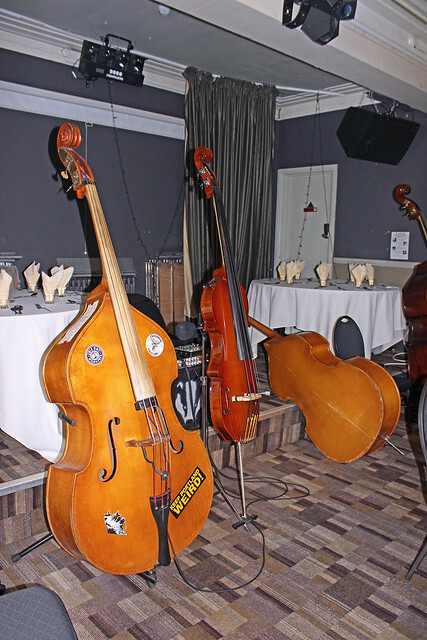 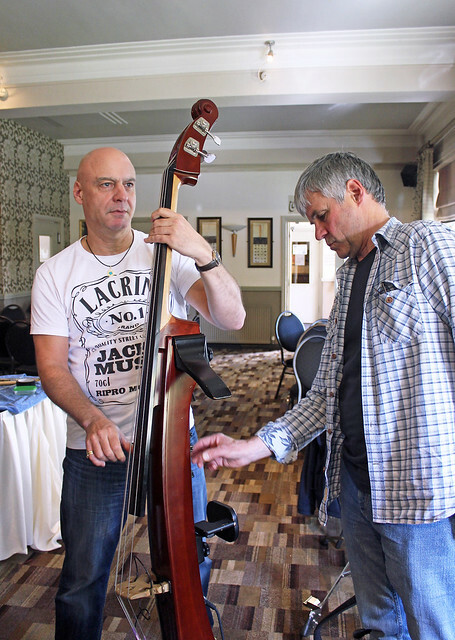 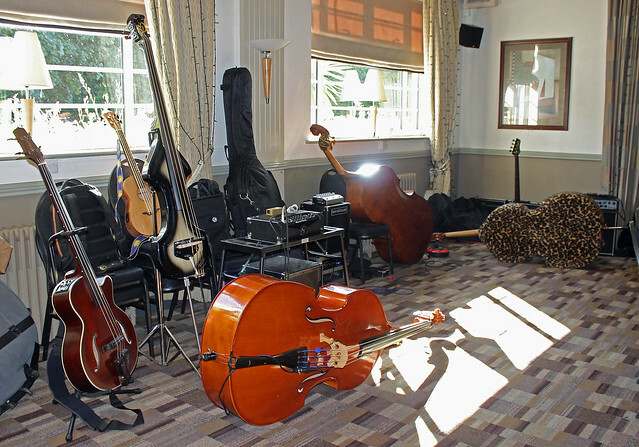 Basschat has a small but highly dedicated contingent of talented, experienced double bassists who don’t mind hauling their precious instruments to gigs up and down the country, and who gather every year at The Risley Park for a long-scale GAS-fest and a catch-up. 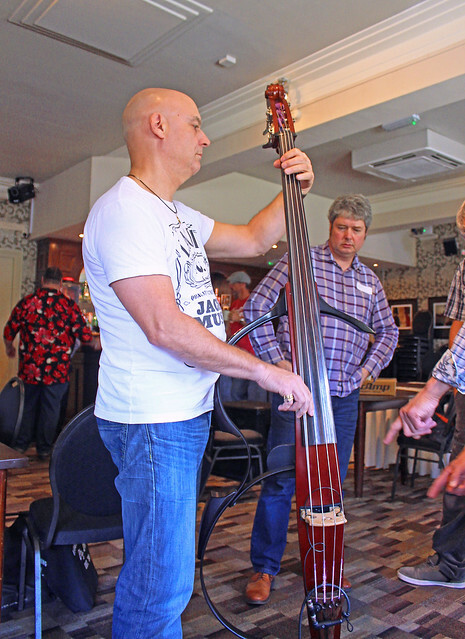 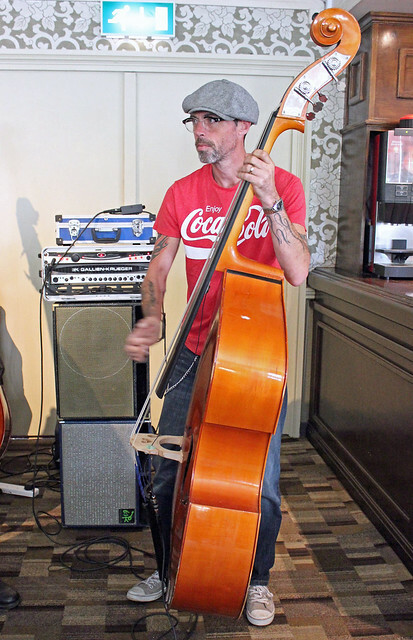 Upright bass dabblers like me, absolute upright beginners, and bass guitarists curious to see what the fuss is all about are equally welcome. 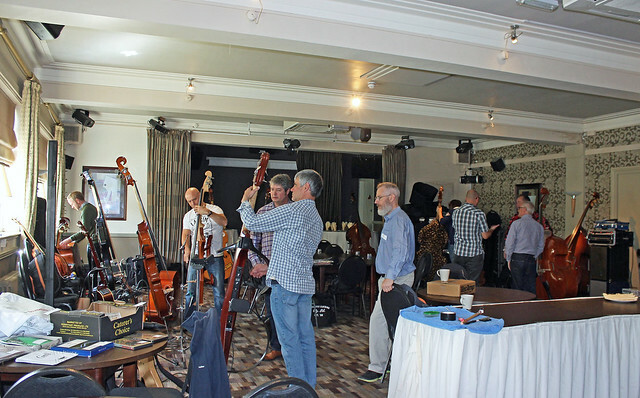 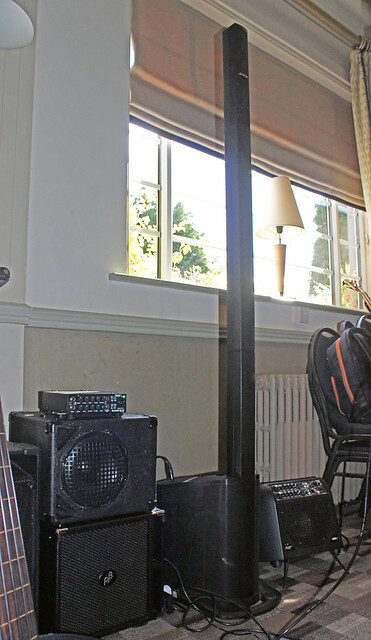 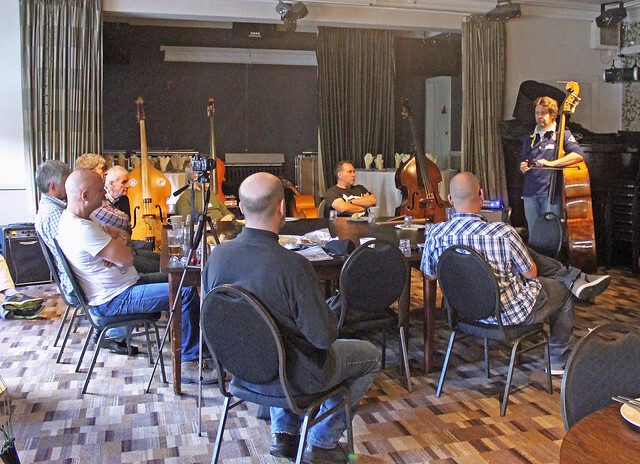 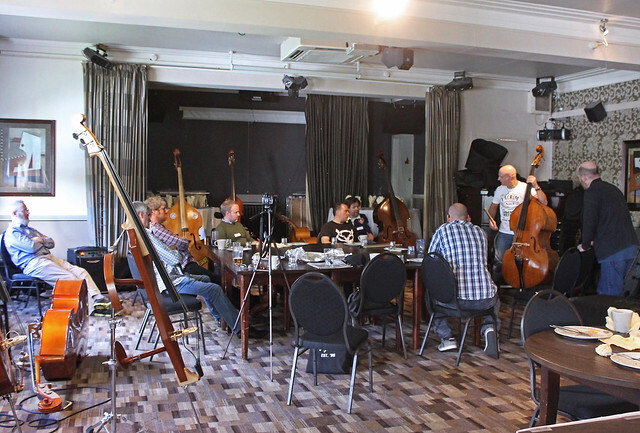 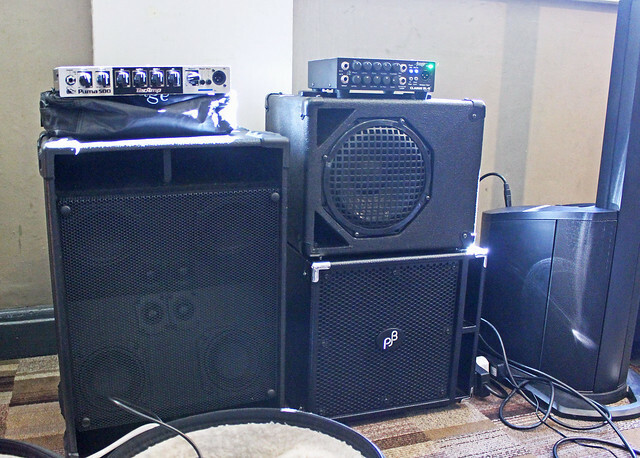 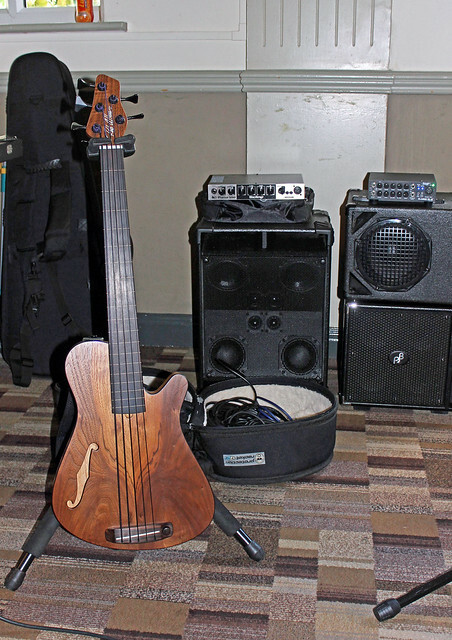 The room is spacious enough for several double basses, many electric uprights, some upmarket bass ukes, amplification rigs, and even a few interloping electric bass guitars (strictly for comparison purposes, of course…). 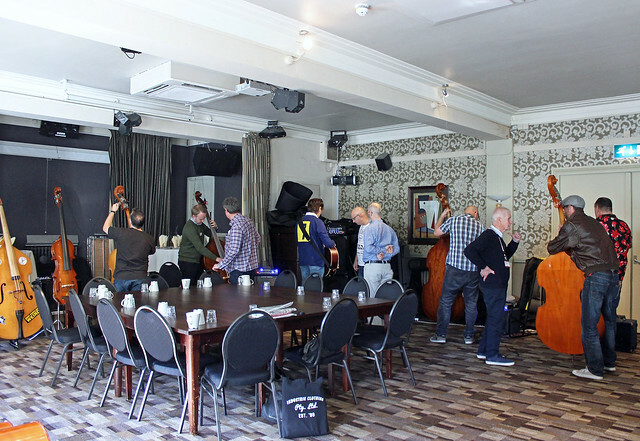 Tea, coffee and a buffet lunch are included in the entry fee. 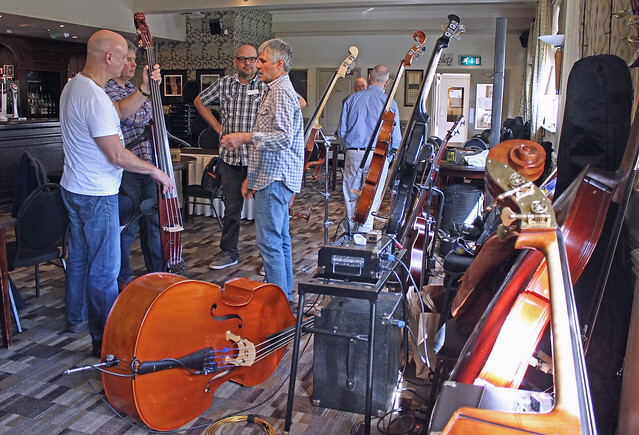 As well as trying, drooling over, and gassing after each other’s instruments and amplification, this year the group decided to concentrate on taking a closer look at bowing technique, mostly for the benefit of attending bowing newbies such as Happy Jack and myself. 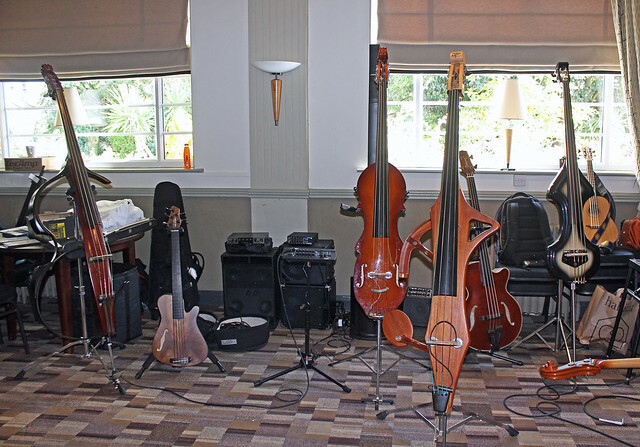 Guess what happened next: brand new bows and tubs of rosin have now joined our household. 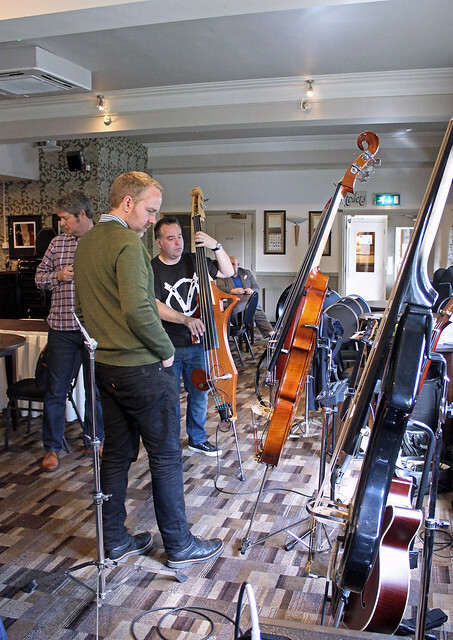 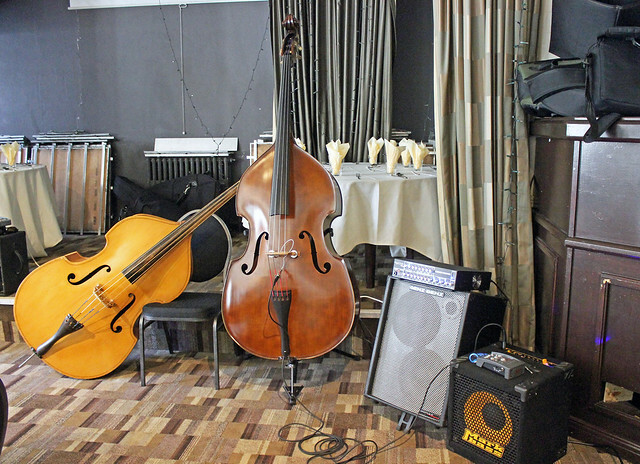 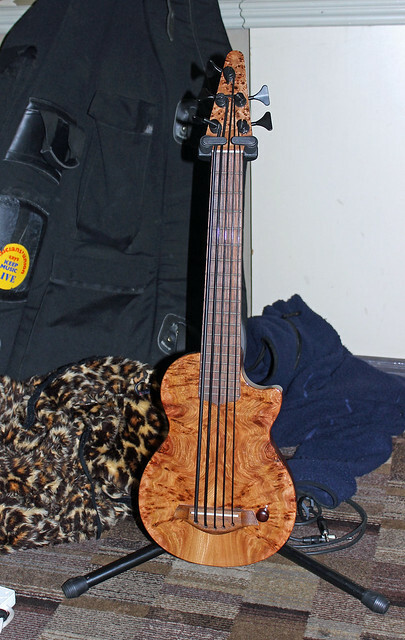 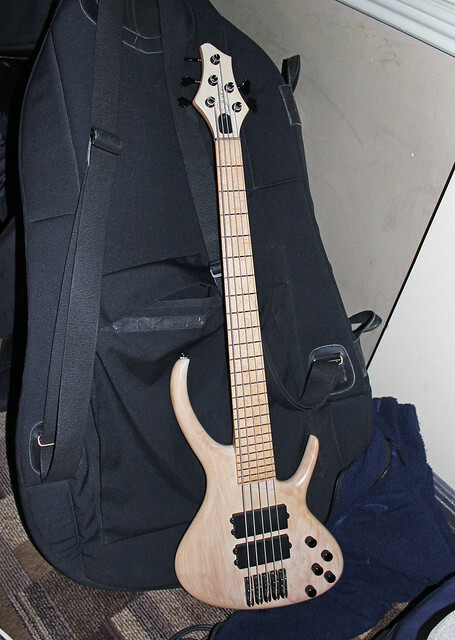 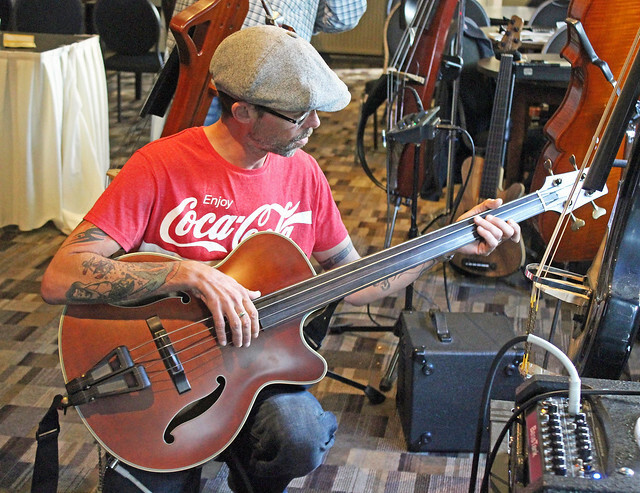 And that’s just because we already have a double bass and several uprights (but there’s always space for more, of course, even when there isn’t…). 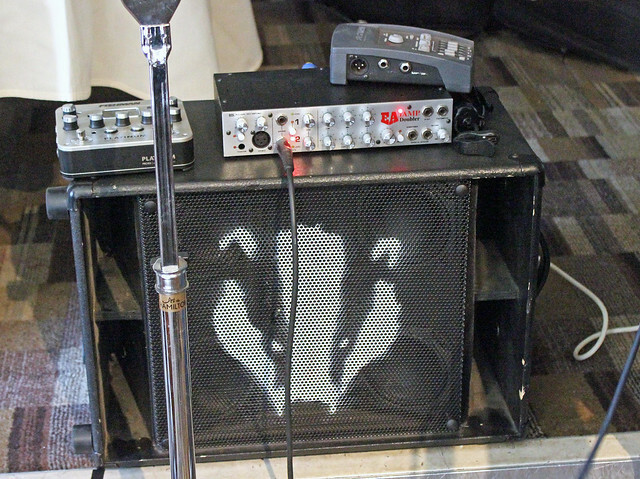 GAS, you say? 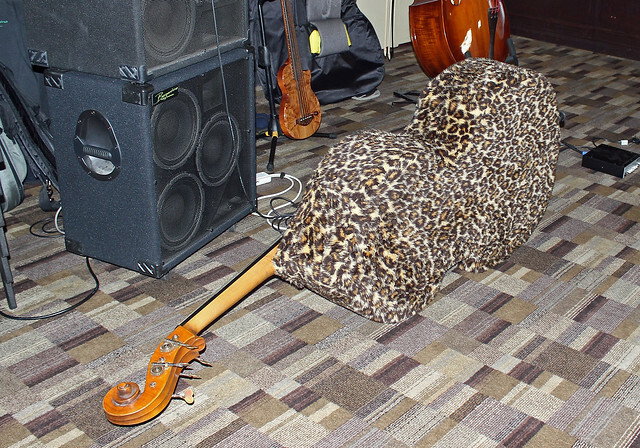 I’ve no idea what you are talking about. 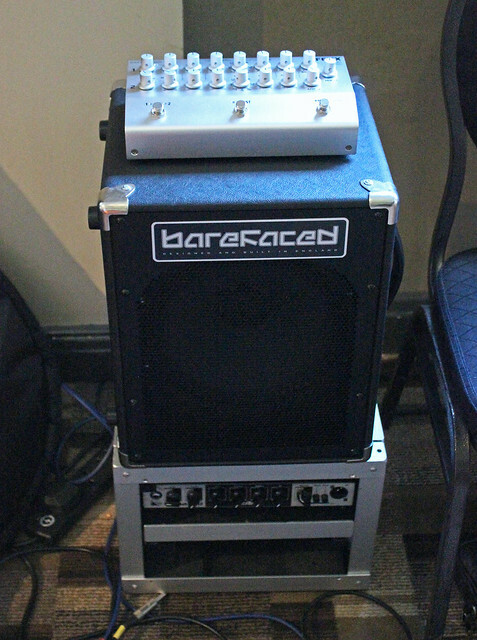 I must say I love that Bose L1 PA.
Having at least one Barefaced One 10 is now compulsory at any bass bash!